Hurricane Sandy dealt a devastating blow to New York City, especially in the Rockaways, Staten Island and Coney Island. 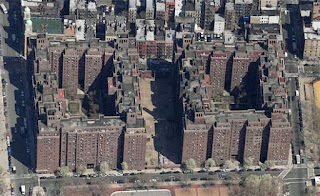 An area very close to home, Knickerbocker Village on Monroe Street, a 600 unit housing project built in 1930 was also flooded plunging the entire complex (two city blocks square) into darkness on the night of the "superstorm". 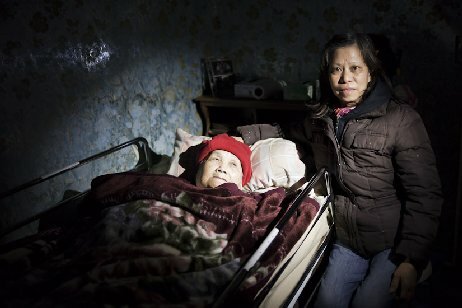 Shockingly, power and heat only returned to some residents last evening. Management from Knickerbocker, while touring the complex with Comptroller John Liu explained " water came rushing in and forced open a steel door (in one of the basements) , which pushed over filing cabinets, and the oil tank". It took many days to pump out tens of thousands of gallons of water from the basement rooms. The spilled oil created an environmental problem that also hampered repair efforts. Repairing the boilers and power systems that keep Knickerbocker up and running smoothly proved to be a gargantuan task given the buildings antiquated infrastructure. Some of the parts needed are unique to the era and hard to locate, while a fire in an electrical room crippled repair efforts even further. In the meantime home bound senior citizens sat in the dark and cold waiting for help. 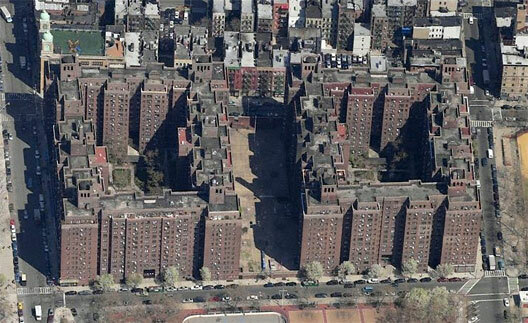 They numbered at least 80+ people within the complex's labyrinth of hallways spread over two square blocks. Members of CAAAV, Coalition Against Anti-Asian Violence sprung into action almost immediately after the hurricane to run food donations up to home bound residents. 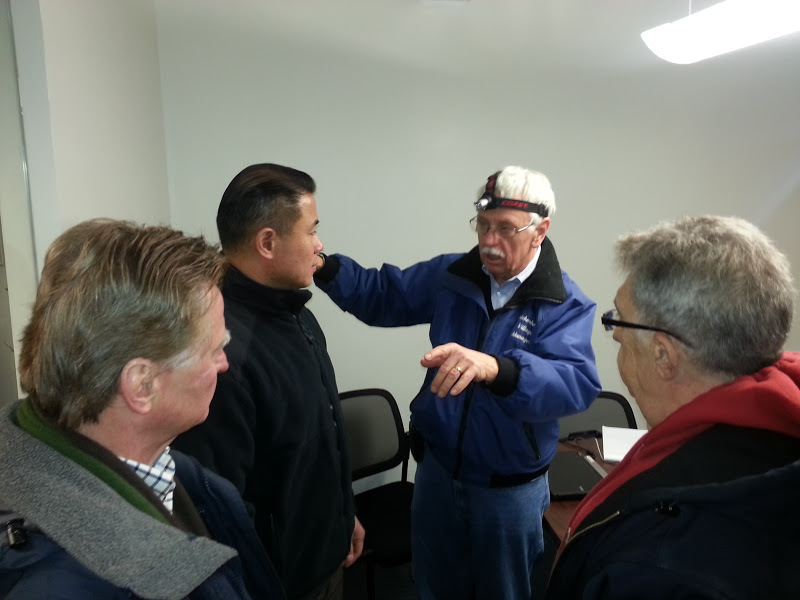 "On November 11, 400 Tzu Chi volunteers distributed cash cards, blankets and daily necessities to nearly 2,000 families in six districts in the greater New York area. 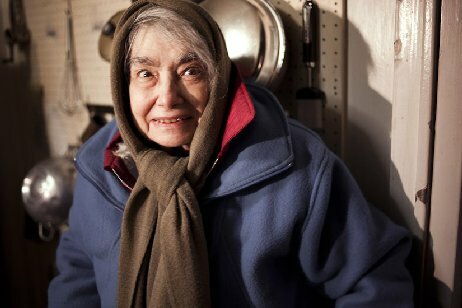 The families are suffering from a shortage of power and water and freezing temperatures almost two weeks after the passage of Hurricane Sandy. 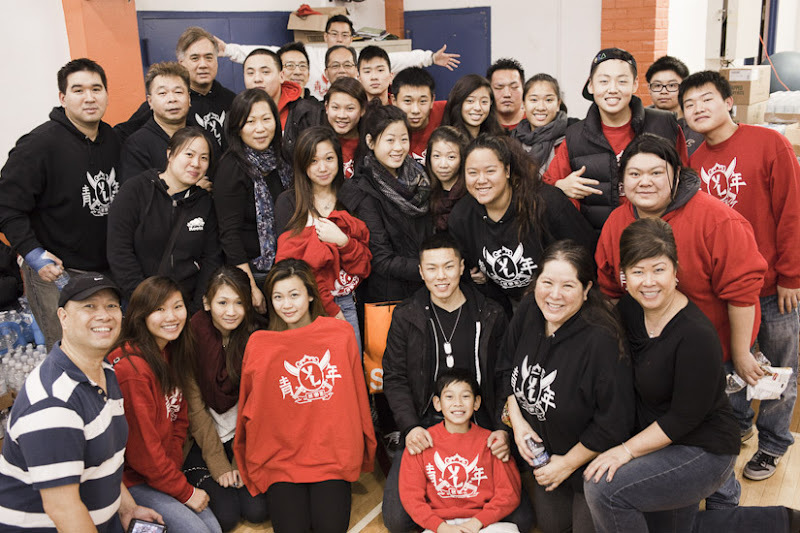 The recipients were extremely moved by this generosity." Immediately after the power returned to Alfred E. Smith projects at 50 Madison Street, Hamilton Madison House converted its gym into a commissary and warming center, as well as an information hub for FEMA, the Red Cross and donation distributions to the home bound in Knickerbocker. 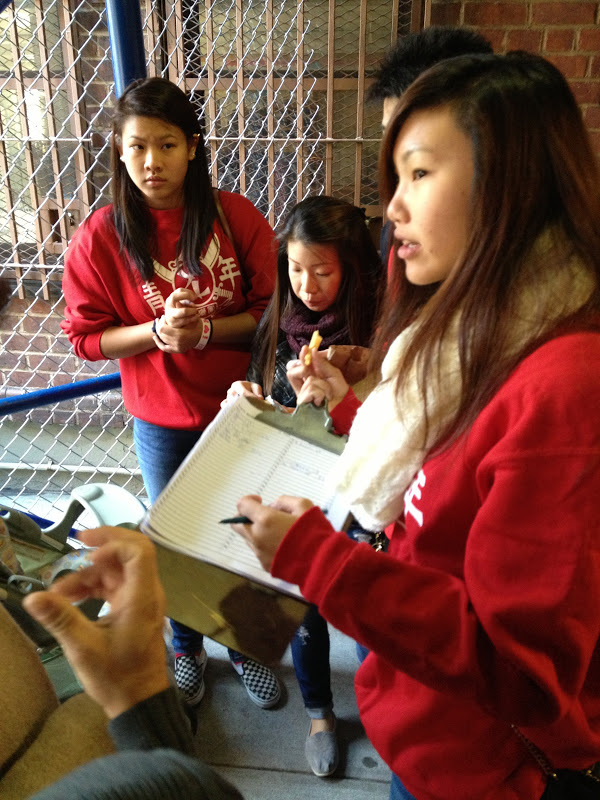 On Sunday Nov. 11th about 35 volunteers from The Chinatown Community Young Lions spent the day at Hamilton Madison House translating, serving meals and going door to door with Red Cross nurses inside of Knickerbocker Village to assess health and nutritional needs of home bound seniors. Some of the items that FEMA volunteers distributed from the central supply hub inside of Hamilton Madison House were: diapers, toilet paper, blankets, ready-to-eat meals, flashlights, pet food, bottled water, juice, canned foods, sanitary wipes and more. 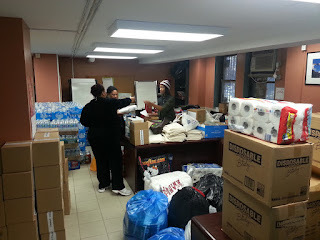 Lists, provided by Knickerbocker Village, were given to the volunteers from FEMA who methodically loaded up bags of items ready to deliver to individual home bound seniors within Knickerbocker. Comptroller John Liu serving meals to residents of Knickerbocker Village at Hamilton Madison House 50 Madison Street location. 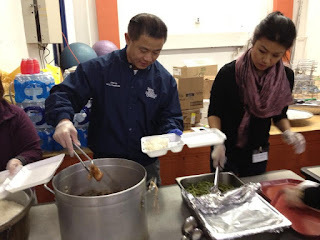 Donations of hot meals came from The Goya Corporation, The American Red Cross, Comptroller John Liu, Councilmember Margaret Chin, and Nydia Valazquez among many many others. 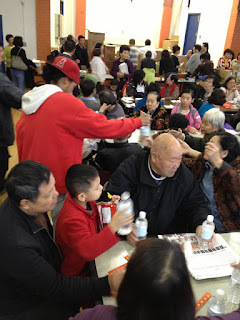 Hot meals arrive daily at Hamilton Madison with The Chinatown Community Young Lions and other volunteers at the ready to serve upwards of 800 meals a day. Hamilton Madison House continues to coordinate hot meal donations even after most of the units in Knickerbocker Village have their power restored as of November 14th 2012, so residents can still get needed nutrition while they put their lives back together. 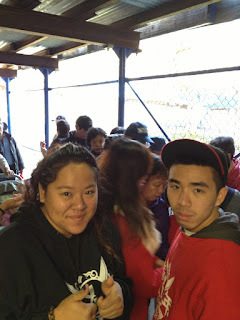 Hamilton Madison House staff and administration complimented The Chinatown Community Young Lions on their efficiency, courtesy, and dedication in helping to serve those effected by the blackout. For many of the C.C.Y.L. 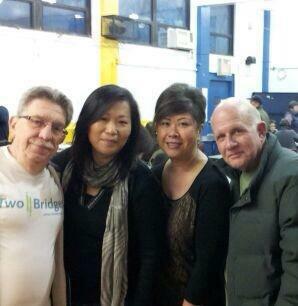 members it was their first time volunteering, no doubt this experience will have long lasting effects. 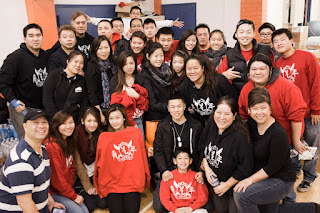 CCYL Member Krissy Ann Lew said "Maybe I needed this experience just as much as they needed my help..... It was very eye opening and it made me realize the realities of life and appreciate things in my life much more than I use to and the feeling of helping people is amazing"